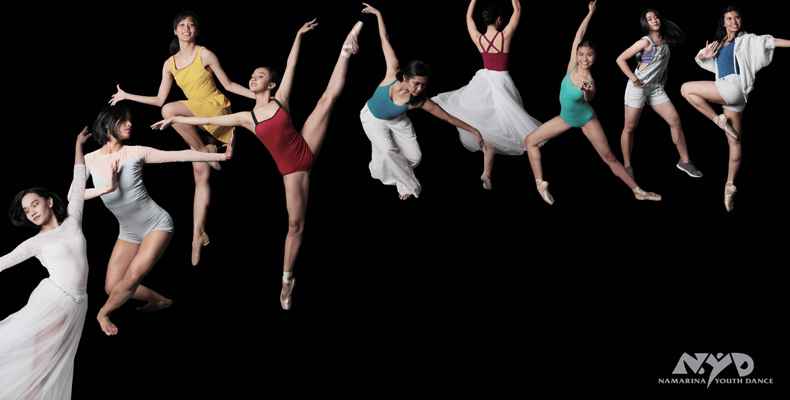 DanceScape Series is a Namarina Youth Dance’s main program that explores not only dance, but also the elements that support dance (taken from NYD DanceScape Series poster with slight modifications). 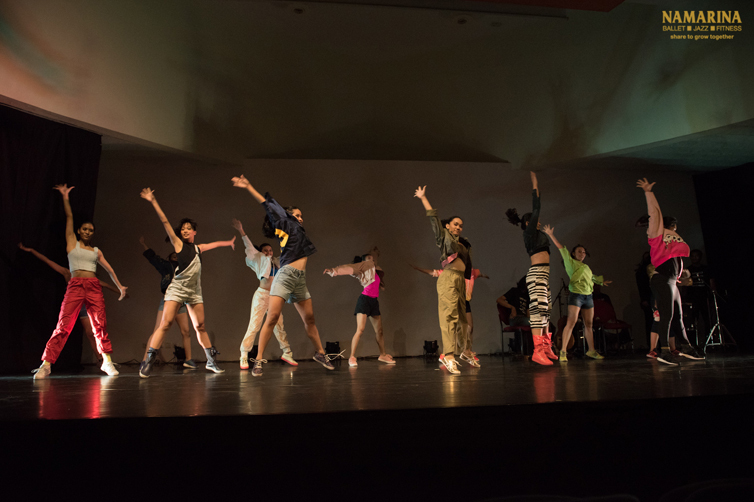 [Jakarta, LTTW] On April 22, 2018, Namarina Youth Dance (NYD), Indonesia’s semi-professional dance company held a dance performance with the theme Dancing for the Future at Goethe Haus, a German cultural center located in Menteng, Jakarta. A week later, the world celebrated the International Dance’s Day. This series of event shows that arts (in this case dance) play a significant role in humans’ life. On top of that, the world also celebrated the World Day for Cultural Diversity for Dialogue and Development that falls on May 21, 2018, just a few weeks ago. With those celebrations in mind, we are going to discuss further why NYD’s performance becomes important, and the roles of arts in society. 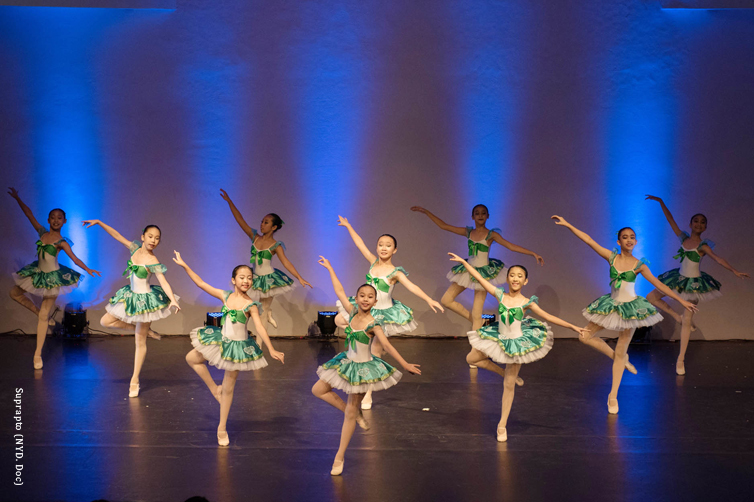 Dancing for the Future is a part of NYD’s program DanceScape Series that combines three generations of dancers; NYD, NYD’s apprentice, and youngest students from Namarina Dance Academy. Through this program, NYD encourages audiences to support the role and function of arts in society as a departing point towards a better future. To achieve that, they first must prove to the society that they have persistence to encounter many differences, possibilities, and challenges that may come in the future. Hence, Persistence in Diversity becomes the central theme of event. 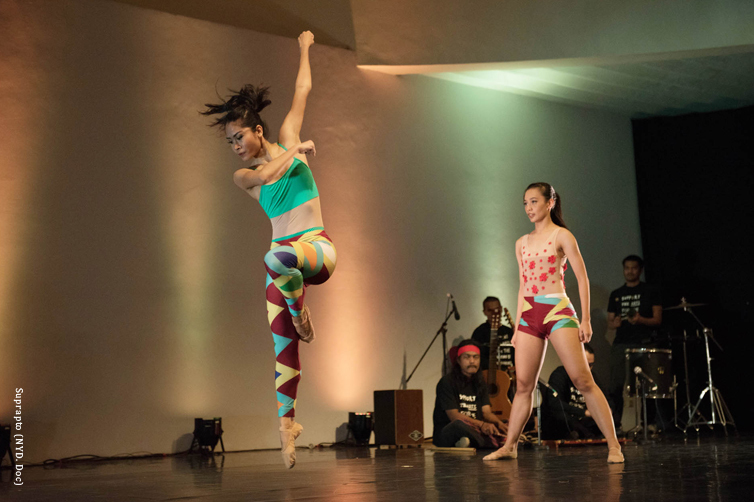 The routines created for this program incorporates Western Classical ballet and Indonesian traditional dance, accompanied with a recorded and live music played by Gado-gado Ensambal and Rhythm Salad League respectively in such order, which also derived from the same central theme. 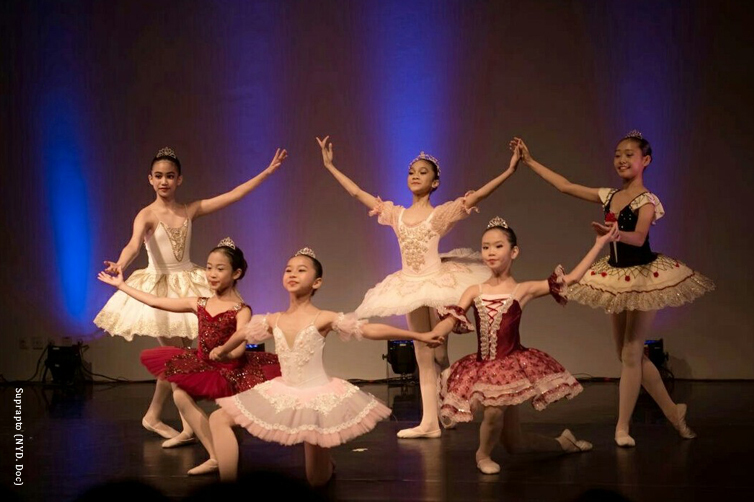 The first routine showcased a pure Classical ballet that performed by the youngest students of Namarina Dance Academy. To stand and prosper, root is a necessary foundation in which the dance academy aware of, thus choose ballet as its base – making a bold statement that can also represent symbols of how the Classical ballet struggles to survive and remain exist in the changing world. Although Namarina’s root and implementation are “imported” from the west, they never forget the importance of Indonesia traditional dance that also – similar to the ballet – shown to put up the fight to keep itself from vanishing, being replaced and, eventually, cease to exist. A fusion of both traditions create a real diversity, opening up and complementing each other, which transform into a bond and finally, an attempt of a new form of dance is born. The journey in finding a new form through fusion has been done by NYD to this day. For twelve years, Persistence in Diversity proves that this program is not merely a symbol for NYD – it’s a living cultural attempt. Ideally, diversity is an inevitable part of human nature. We genetically differs – from the place we live, our roles in society, perspective, and way of thinking. Even an identical twin are different, be it physically or personality. Yet, in reality, we can’t seem to grasp the notion; we still see diversity as something that stands outside ourselves. We have been avoiding, fighting, and destroying those differences. This is the reason why we need persistence so that we can achieve the supposed-to-be default ideal. Through its form, dance (like any other form of art) has the ability to “materialize the ideal”. In visual art, for example, one can materialize his wildest, most idealistic imagination. Furthermore, dance (and music) has the ability to promote diversity in social life – strengthening social bond, and the same thing with break dance [click here to read a brief history of Breaking culture]. Besides giving an opportunity to “fight” and “kill” without victims, break dance also promotes respect and enriches the individuals and community. Dance also contains elements that can be treated as a powerful educational tool because, according to Sacred Bridge Foundation’s view, art is the only thing in the world that can ‘un-compartmentalized’ every field of study. With such immense ability, it is only logical to think that dance must be supported regardless the condition for the sake of the nations and a better world. The fact is, support for dance (and other arts) is huge in Western countries. In Europe, arts are fully supported by the governments of respective countries, while in the US philanthropists are very keen to become a patron. Take a look at Broadway; this institution was born because many young investors known as angel investors invest their money in performing arts. Europe and US strongly support arts because they understand the significance of art in their society. But such immense support does not stop the artists to quit fighting. On the contrary, they keep on moving and not giving up in their endeavor to materialize their ideal – with or without support. This is what makes arts in Western countries keep evolving, because both the artists and supporters are aware of their roles. Amazing pursuit by Namarina. May the journey continue and encouraged with a well deserved appreciation.. Thank you Listen to the World for the beautiful article. It’s all well said. Hope this will help people to understand and broaden people’s horizon on how to see Dance as an art form. How we really need everyone’s support in any kind. Art is for everybody. I hope art keeps on growing and expanding and can be more reachable by the society. Congratulations to Namarina! Hope for the better future for all of us to support the arts.